Escape to the water’s edge in The View Room Our private dining room is second to none, guaranteed. 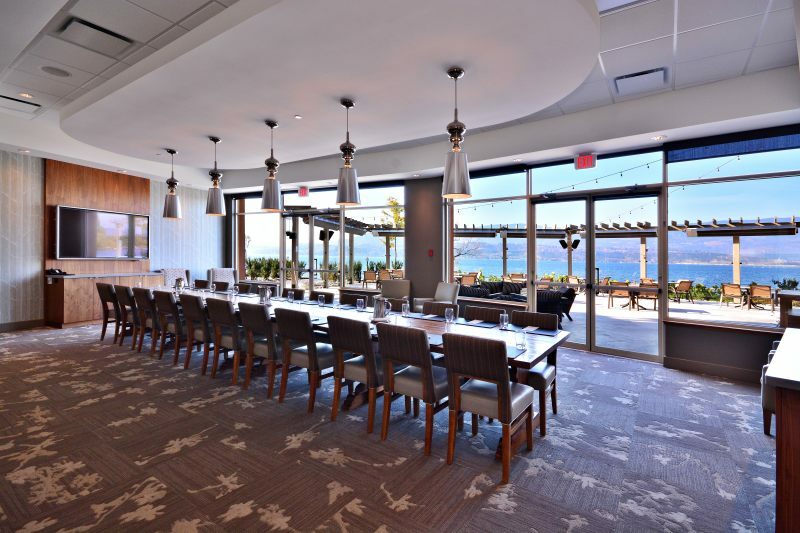 The View Room seats up to 22 people and features a beautiful hand crafted harvest dining table and is fully equipped with high tech audio visual equipment, including a Smart TV. Perfect for meetings, corporate dinners, family get-togethers or any fun social event where you would like a bit more privacy. Make it fun or make it formal – we’ll be ready for you.